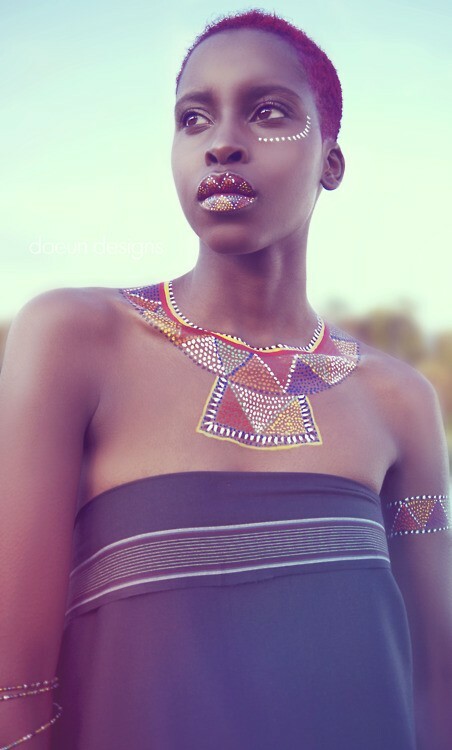 Gorgeous Kenyan body art model, Elsie! Even if we are specialized in sculptures and art objects, we must show you this beautiful Kenyan model photographed by Daeun Design in a project for the Maasai Market. This artwork was done by Njoba Muthoni, a painter specialized in painting of the human body. You can enjoy his work through the following pictures.